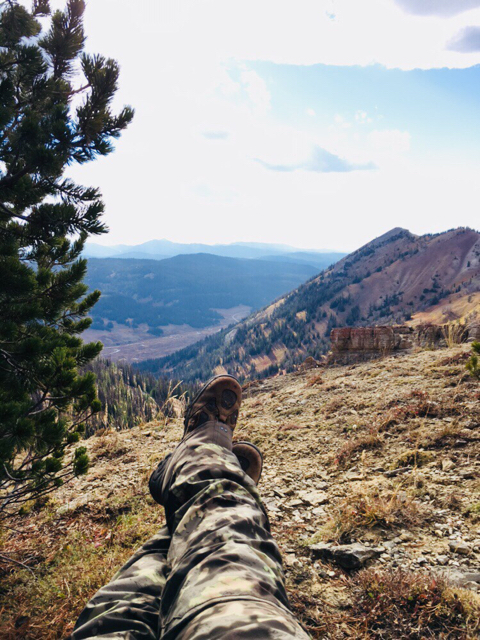 I’ve been looking forward to this hunt for a long time as I have never been elk hunting. 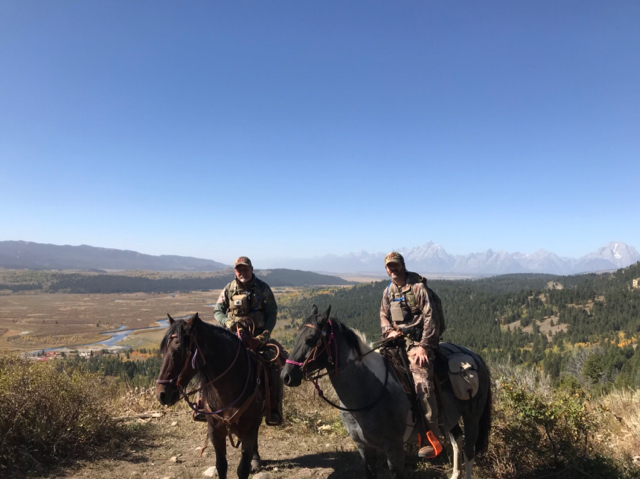 I’m very lucky to have family in Jackson Hole and they took their time to guide me on a 7 day public land elk hunt. I bow hunted Sunday - Wed. This year is unseasonably warm and the bulls just weren’t talking. We were in bulls each day but just couldn’t close the distance gap to get in bow range. Today was opener of rifle season. I threw the 300WBY on the horse and we took off with one goal in mind and that was to put a bull on the ground. We ended up riding to 10k feet to overlook a huge basin. Right away we spotted some bulls but they made a disappearing act into some country that we couldn’t get into. We made a decision to ride over the ridge and check out another large basin. Once arriving at the basin we decided to ride the horses down to the bottom and do some calling. The ride itself was very difficult and sketchy with some shear drop offs and loose shale but we made it down. This is where it gets interesting. Upon reaching the back of the meadow we hit the cow calls and immediately had 4 bulls sound off way down on the other side of a deep ravine. It was game on, my cousin and I abandoned the horses and took off on foot. We dropped several hundred feet in elevation down some steep drops and was able to close the distance. There was one bull we were trying to get to come check us out but he wouldn’t leave his cows in the thick timber. Finally we had one of the satellite bulls make the fatal mistake and I caught him slipping through the timber at 50 yards. Game over, not a big bull by any means but it’s my first and the fact that we took the hunt to him and chased him down in some very remote and rough country makes it all worth wild. To add to the story I’m sure most of y’all know of the guide that was killed last Friday by a Grizzly. Well we were less than 2 miles from the attack site when I killed my bull. If that’s not enough we were basically in a grizzlys living room as there was fresh bear sign everywhere. Needless to say we were on our toes keeping and eye out. We had a 450 Marlin and bear spray at the ready. Awesome stuff! Congrats on your first elk! Congrats! That is some beautiful country! Congrats on the bull and on staying out of a grizzly's mouth! Very cool! Congrats! Great read and pictures! Congrats, lots of good eating right there!! Public land elk. That says it all. Nice work and congrats! I didn't know Wyoming opening rifle was so early in the season. Very interesting. Beautiful country. Congratulations on a good bull! Congrats on your bull. 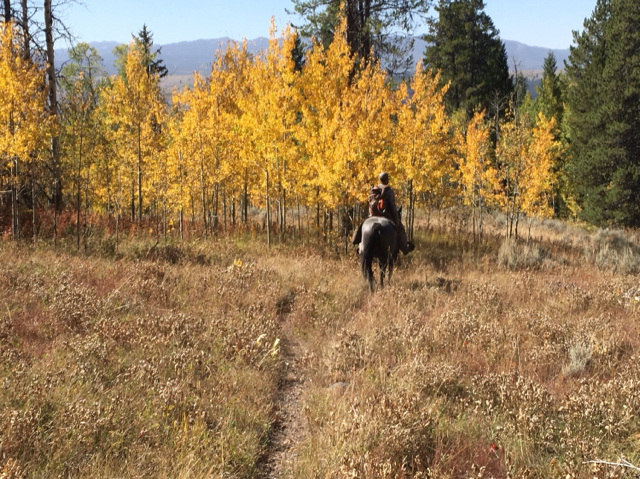 Riding on horses to hunt elk looks awesome. Did you ever see any grizzlies? That is waaay freakin awesome. I cant imagine how fun that hunt must have been. Major congrats on your bull !!!!! You're way braver than me, no grizz country hunting here unless it is a must. I know one of the GW in on the charge and sow taking. 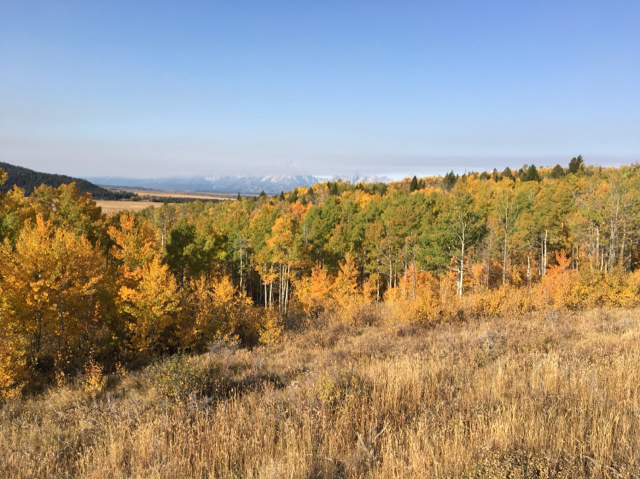 I believe some seasons on the west side open earlier for rifle for deer and elk. Lots of wilderness area over there so a resident guide is needed if not outfitted. 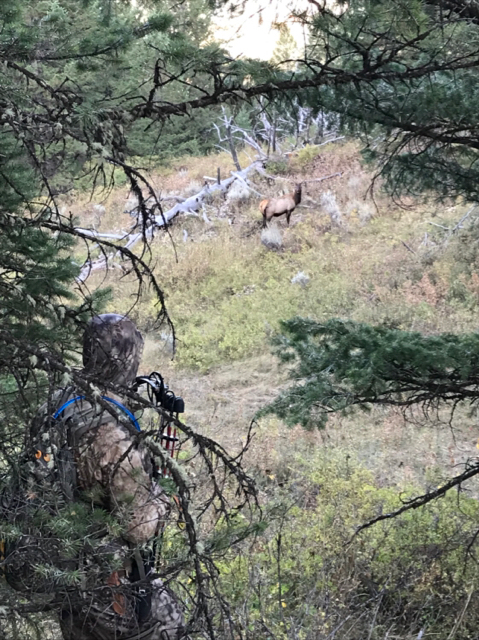 Sept. 1 is some rifle openers for elk in the NW. Outstanding job and true public land trophy! Many congrats on your success. Excellent! Congratulations on the bull! Looks like you were way East of the Tetons? 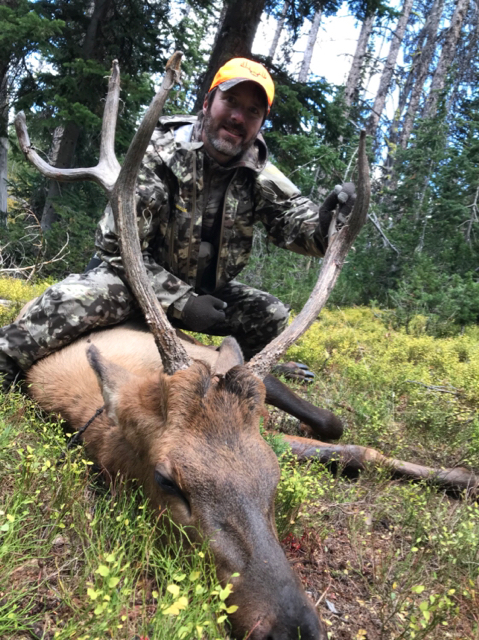 Beautiful country and very nice elk, as others have said, congrats on your success! Congratulations on an awesome hunt. How many cruises down Timberland Dr will you make with the horns showing? Congrats brother! On my bucket list!